In recent weeks, I've been involved in conversations on Facebook that involved personal taste in gardens. It's clear that one person's Eden can be another person's hell. 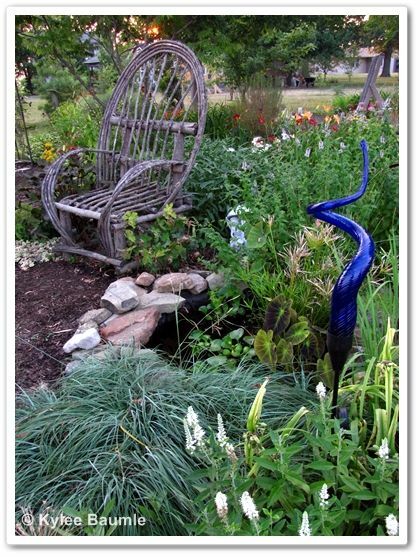 It would seem that gardening as an art - and there's no doubt it can be - is as subjective as other forms of artistic expression. Luckily, he doesn't care that much about this and he apparently doesn't mind what I've chosen to adorn our walls, although it may be a case of him "picking his battles." When two people live together for 37 years, you learn to do that. 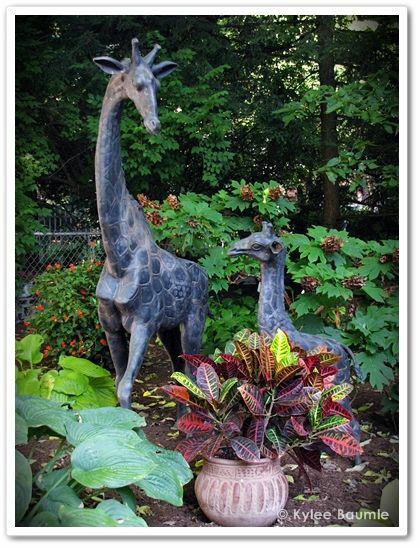 Gardening style and design is much the same as art, in that we naturally gravitate towards certain styles. However, gardening is an interactive endeavor where we not only see a gardening style and either like it or not, we practice it in our own gardens. But our front and back yards may or may not reflect our personal taste in garden design because of limits to our abilities. I'll use my own garden as an example. 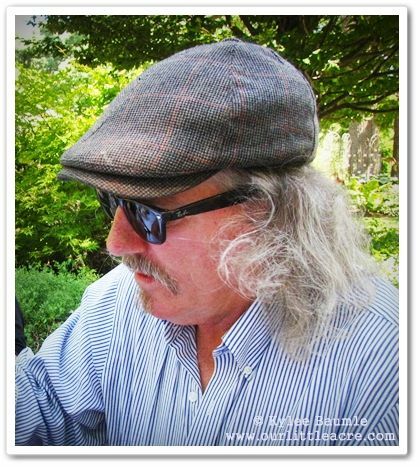 Over the last several years, I've had the pleasure and privilege of touring many, many gardens of many, many styles. I've seen some that I dislike immensely, some that I love greatly, and most that were somewhere in between. If I were a visitor to my own garden (and I'm trying really hard to be objective here), it wouldn't be a garden that I love, but I don't think it's particularly heinous either. Garden design does not come naturally to me. That's the first strike against my garden. I'm also a self-proclaimed plant collector. There's the second strike. And thirdly, I'm not willing to spend the money to have someone come and help me with design, because Strikes One and Two would eventually cancel out their efforts. So I garden on, in my own unique way. This is okay with me and from this day forward, I will stop apologizing for the way I garden. And so should you. Most people who garden do so for the sheer joy of it. While they probably want their gardens to look reasonably attractive, what this is and how much it matters varies greatly. 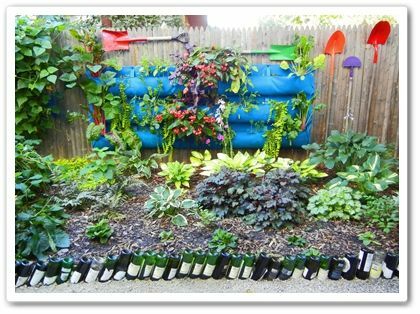 "I have 10 bottle trees in my yard. If it is OK to hang things from holes in your ears, it is OK to do fun stuff in your yard." I posted a photo on Facebook of a home I saw in Bellevue, Ohio, a week ago. As we drove down the street, it commanded attention and it stood out from its neighbors. I made Romie turn around so I could take a couple of photos of it. I wanted to walk across the street and get a closer look and more photos, but I didn't want to invade the owners' privacy. 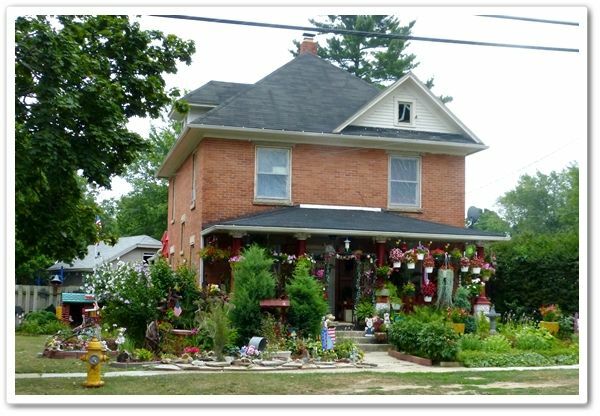 These gardeners no doubt know that not everyone is appreciative of their gardening style. 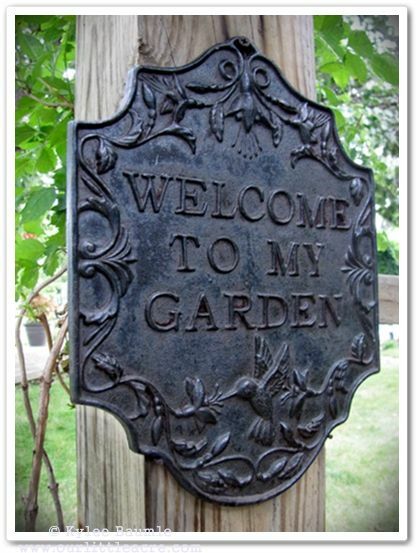 The public is becoming more and more outspoken these days and I'm sure there are those that feel the homeowners are entitled to their (the observers') opinion of how they garden. This kind of gardening is not my style. I don't love it. Some people do. 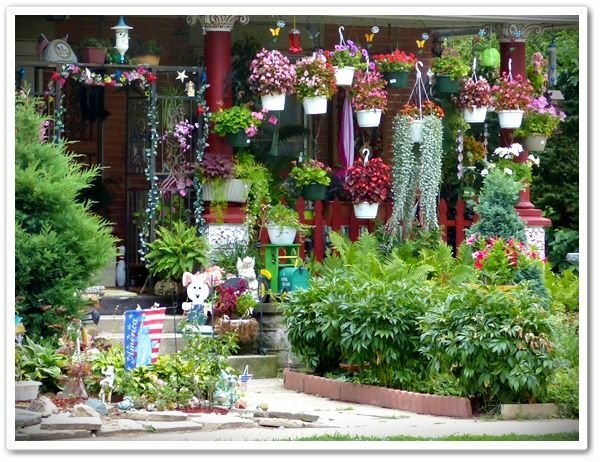 But what I do love is that it's obvious these homeowners love to garden. Judging from the apparent health of the plants, they're very good at it, too. In a summer that has tried gardeners' souls with its prolonged high heat and drought, their dedication and tenacity is to be admired. Good on them. So garden in the way that makes you happy. Apologize to no one. Simply enjoy yourself in your way, in your garden. I am not a trend gardener either... When I see healthy plants I too comment the gardener no matter the arrangement of the plants.... I enjoy seeing the love shine though. Very good post, Kylee! I love my garden, however, in these days of so much heat and drought, I kinda wish it weren't so large. This has been a challenging summer for gardening. Lots of J. beetles plus other bad insects to fight, fungus on the oriental lilies, critters eating the foliage of my baby hollyhocks and even my tomatoes - never had that happen before. I think the animals are having trouble finding food, and they have discovered a buffet at my house. Come visit my blog if you get a chance. I posted today on my 14 garden rooms. Hi Beth! I'm feeling the same way you do about the size of my garden. It's just been way too much this year. Challenging is absolutely correct. However, as you can see by my Japanese Beetle count at the top left of the blog, that's one problem we haven't had at all. It hasn't even been fun doing the count this year, but I'm not complaining. There are other problems I'm having though, that I've not had before. Number one is the roses. Black spot like CRAZY. I normally don't have a problem with it. And in spite of growing tomatoes in GrowBoxes, where they get even watering and the right nutrients, I've had problems with blossom end rot. What the heck? It's just a weird, weird year. i have a hard time with all the criticism that people so liberally give especially on social media. there are so many ways to enjoy the beauty of what others have "created." why not just focus on that? i think i would like felder rushing too. when we moved to the country without any close neighbours per say...it was liberating for me. although i have yet to create what i ultimately want in my garden i have less pressure on me to make it happen. it feels like a natural progression. thanks for sharing this post kylee. i have a feeling i would love your garden. My comment is not connected to this post on your blog. I want to ask you about an Iris listed on a post in 2008. I have been looking for the identity of this Iris for years as I have it growing in our yard - inherited - but had no name.It's the one you named as Helen's Iris and I'm curious to know if that is indeed it's name. It's also a case of how different the coloring can be: in my yard, with rooty soil, the flower colors are more muted, the standards mauvy-gray I call it, with the same purple falls as in your photo. Nice blog; love the photo of the house with the many hanging plants in front! Lisa ~ I think maybe if we hadn't had to be somewhere right then, I might have done just that. I may have gone up and knocked on their door. marmee ~ I never thought about the living in the country liberation thing. That makes sense though! Not many people see my garden on a regular basis. chris m. ~ Chris, that iris was given to me by my former neighbor, Helen. She didn't know what its proper name was, because she wasn't a gardener, but she had TONS of it. I call it 'Helen's Iris' in her honor. Sorry I couldn't be of more help with that!